It’s a new month, and that means hanging out with a new author, in this case the positively brilliant K. Ancrum, whom you might know from her incredibly intense and beautiful debut, The Wicker King, or from her tender and alternately heartbreaking and heartwarming sophomore, The Weight of the Stars, which releases on March 19! Whether you’re already a fan or you’re about to become one who just doesn’t know it yet, come along and meet her! First of all, congrats on the upcoming release! 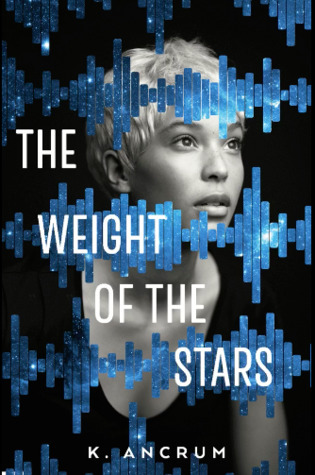 For those who haven’t been lucky enough to read The Weight of the Stars ahead of time, what would you like them to know about it? Its a tender love story about two girls standing in the wreckage of their parent’s circumstances who find a way to learn how to face the same circumstances “harder better faster stronger”. If you’ve seen the movie Interstellar, its like… if the movie was about Murph growing up, but from the perspective of another girl who thought she was super hot. I wrote this book because I wanted to make a soft and precious love story for the huge HUGE turn out that the WLW community had for The Wicker King. I really hope I did them justice with this one. 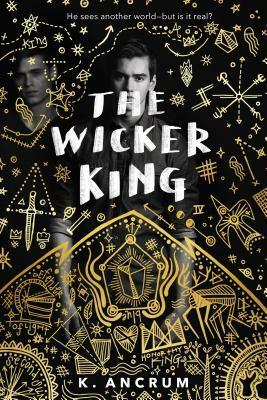 Of course, The Weight of the Stars isn’t your first queer YA, as you debuted with your fabulous and wildly intense and thoughtful The Wicker King, which is so much about co-dependency and mental health at its heart. What drove writing that book for you, and who do you really hope finds it? Like many authors who write about difficult contemporary circumstances, I wrote The Wicker King from a lot of personal experience. I really wanted to explore the nuance between Jack’s colorful display of physical illness and the dramatic and incredibly realistic portrayal of August’s descent into mental illness. That sliver of a line between August’s experience with Jack and how readers processed August as a child who desperately needed help and whether or not they would recognize that he did was very personal to me. That aside though, I really hope that it finds teenagers who have noticed a friend struggling, adults who are in positions of power who need that extra push to intervene when something doesn’t seem quite right with the teens in their lives and, and I haven’t mentioned this at all before but: I also hope that older MLM find the book because a significant amount of my older MLM readers have said that August’s struggle with his orientation really resonated with them in a specific and very gentle way. And I think that’s very precious ,so I hope more older MLM find The Wicker King. One thing that’s great about your website is that you’re really into sharing information on your publishing journey with your readers, which I love. What do you think are the most important bits from yours for other aspiring authors to know? And what’s been your favorite moment of the journey so far? There are still posts there from when I almost gave up writing The Wicker King, or was struggling with whether I wanted the book to be explicitly Bi because I was afraid it wouldn’t sell. Mostly because I wound up pushing through both of those insecurities to find myself where I am now. But looking back: reading the plaintive cries of a younger me, the soft worries and requests for help, is such an encouraging thing. It really makes me want to pull myself up and march towards an uncertain future. I think my favorite moment of the process is reading all of my edits. I have had the incredible luck to have had two a hilarious and great agents and 3 hilarious and great editors. I love flipping through the pages of my book and seeing comments like “Oh my god” at the chaotic things my characters are doing. There is this one scene in particular in The Weight of the Stars, where the MC spontaneously realizes that she’s had a crush on her love interest the whole time and she has a full on hysteria fit about being really gay for her in a car, and one of my editors wrote that she screeched through reading the scene and I remember reading that comment and laughing so hard. I really really love the team that helped me build both The Weight of the Stars and The Wicker King and hope I can continue working with them as long as possible. In The Weight of the Stars, we get some really wonderful aspects of queer representation that aren’t often found in YA. What felt really important to you to have in this story, and why? I ride or die for found families. Found families are such a huge part of western queer culture and modern western queer history that its an honor to continue the tradition of their representation. Mostly-LGBTQ friend groups providing familial love and support, shoulders to cry on, homes to crash in, food to eat and physical affection is so pure, so precious and so important. I also feel like there is a yawning chasm of butch characters in F/F. The Weight of the Stars gives you Soft Butch with Alexandria and Butch with Ryann, for people who are familiar with those terms and with those identities. F/F is already rare and tends to sell less than M/M (for a multitude of reasons), so this isn’t meant to be divisive. But a majority of F/F is not about butch girls and I wanted to build this love story between two butch girls that is ten times softer and more gentle than anyone would imagine a story about butch love could be. I wanted tenderness that prickles tears at the corner of your eyes and soft yearning that you’d usually associate with Virginia Woolf, but I wanted it for a giant muscle girl. Your books feel so…rare, I guess is the word? There’s something about the way you write that’s so special and so different but still feels like part of the same unusual universe. What’s a K. Ancrum book to you? What do you think will always show up in your work in some way? This is such a cool question! First, I think my format is probably a huge part of that. I’m “known” for telling instead of showing, largely because I have something else big to show instead (example: August telling the reader that he’s well, while he shows the reader that he is Not, Ryann telling the readers she has no family, and then showing the readers that she has a close family made of friends. ). I also kind of format my books more like movies, they’re intended to be read straight through and the pacing and format reflects that. There is also an immediacy in the way I write romance. I write like the words “I love you” are pushing at the inside of the teeth of my characters, and I think that really resonates with a decent amount of readers (thank goodness haha). I think the thing that will always show up in my work is tenderness in the relationships between my characters and physical affection. I like my characters to show care through touch, even if its hard for them to use their words to express it. Teenagers have a very particular and rare relationship with touch, especially because they are in that transitional stage where familial touch and platonic touch start moving to make room for sexual touch. And they often explore the boundaries of that in a way that adults and children do not (example: when I was in HS, I had a friend who would often do the hair of the other girls and it was a very familial touch moment that I can never imagine her repeating as an adult) There is a tenderness to that that I think makes my books feel kind of quaint and strangely realistic in ways that a lot of people are unable to put their finger on. Important question as relevant to The Weight of the Stars: What’s your very favorite space-related fact? We sent it in the 1970s it still flies, endless in the black. As singular and lonely as we are. 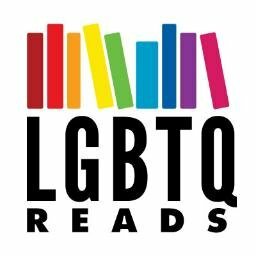 What other queer YA are you reading lately that you’ve loved? Anything you’re especially looking forward to? This is a nightmare answer but I’m currently just reading tons and tons of fan fiction. I’m learning a lot about portraying the intricacies of desire in a thousand delicate ways, and learning how people tend to view courtship when they’re at their most self-indulgent, most secret, most private. Fan fiction is written in the dead of night in the dark for your friends or because your heart says that you Must. I want to access that flavor for my work, from a learning perspective. What’s the first LGBTQIAP+ representation you remember in media, for better or for worse? This is going to sound really crazy, but when I was 8, I read a romance novel that included an intersex major character. I remember reading descriptions of her and her body like I was looking into the face of god. I had literally never heard of anything that was so perfect and so beautiful. I don’t remember what the book was called or anything about it, but I remember her lover saying something to her about how “she was made up of many pieces of many pretty things” and melting. Just, filled to the brim with a hunger for that sort of acceptance and for being cherished exactly as I was (which was a bi child). I’m working on a cool novel about a train heist and another novel about possession! K. Ancrum grew up in Chicago Illinois. She attended Dominican University to study Fashion Merchandizing, but was lured into getting an English degree after spending too many nights experimenting with hard literary criticism and hanging out with unsavory types, like poetry students. Currently, she lives in Andersonville and writes books at work when no one is looking.